We've been following the work of artist Theaster Gates for a long time now. His Dorchester Projects first caught our eye back in 2010. Since then, we've made multiple trips to the South Side of Chicago to visit the Black Cinema House, Stony Island Arts Bank and Arts Block. And we've learned a lot from his visits to Detroit. 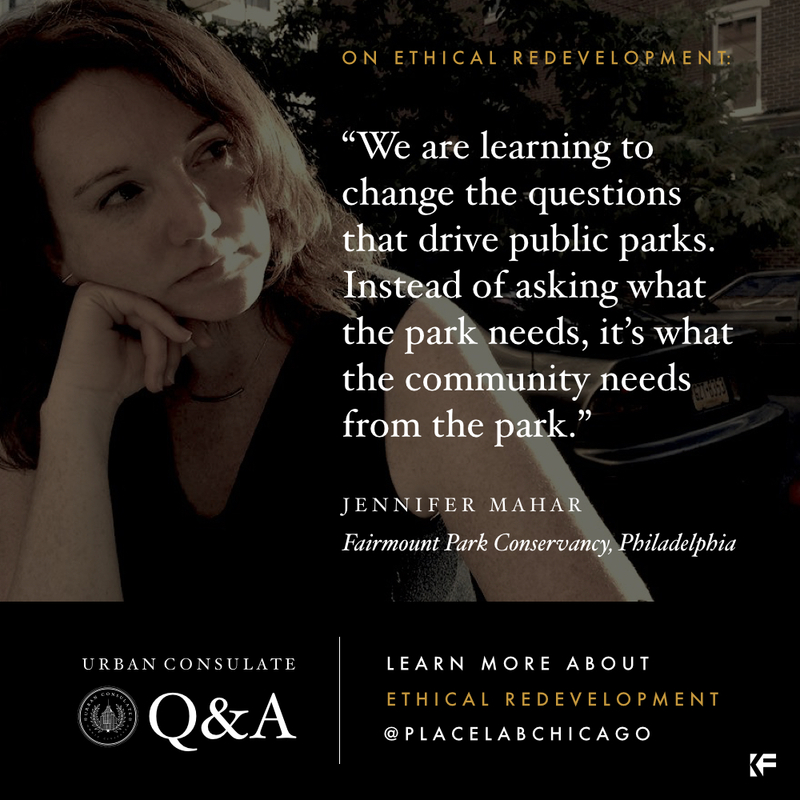 So naturally, our ears perked up when he formed Place Lab Chicago to help turn his earned wisdom on arts-driven, neighborhood-based development into a philosophy for mindful city-building. 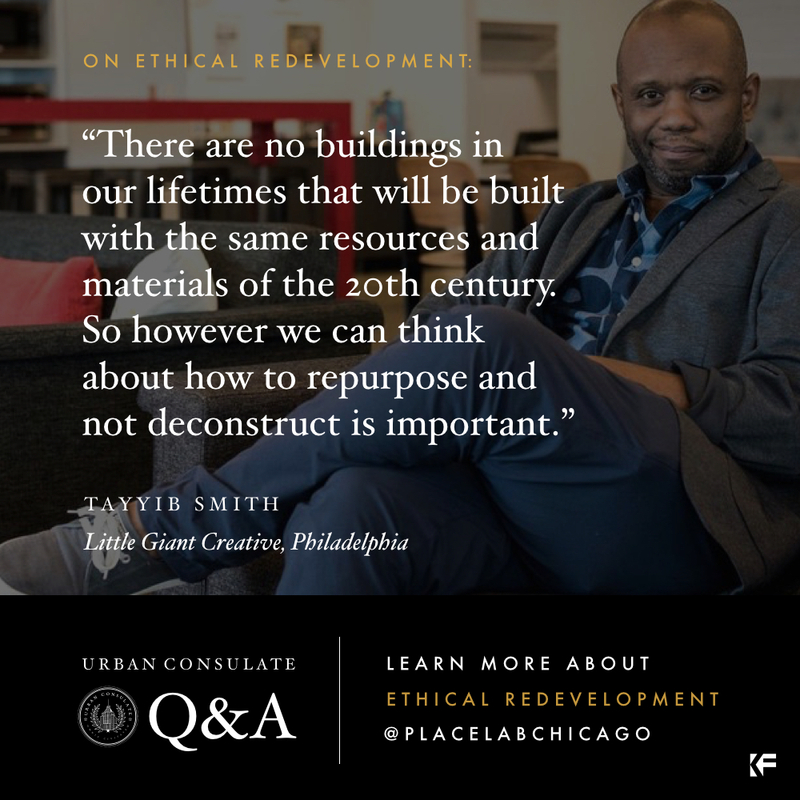 In Spring 2016, Place Lab published their 9 Principles for Ethical Redevelopment. The goal, as they tell it, is to "shift the value system from conventional, profit-driven development practices to conscientious interventions in the urban context." To help shape and share these ideas, Place Lab invited a group of city builders from across the country to participate in a series of salon sessions. Thanks to support from Knight Foundation, a dozen of our friends & colleagues from Detroit & Philadelphia have been participating. Eager to hear what they are learning, we invited the Philly fellows to share insights at City Lobby, our monthly parlor for urban exchange. A group of 45 city planners, artists, nonprofit leaders and neighborhood advocates gathered at Le Meridien in Philadelphia on October 6, 2016 to discuss. The slideshow above offers some key ideas & takeaways from that conversation, as shared by Place Lab salon members Tayyib Smith, Little Giant Creative; Akeem Dixon, New Kensington CDC; Keir Johnston & Ernel Martinez, Amber Art & Design; Lindsey Scannapieco, Scout Ltd; and Jennifer Mahar, Fairmount Park Conservancy. We will also post their thoughts on Instagram & Facebook. Look out for them there, and please share. We look forward to continuing the conversation in Detroit in December. In the meantime, make sure you're dialed into Place Lab's work as it evolves. Check out the video. Download the PDF. Watch Theaster's TED talk. And follow @PlaceLabChicago on Facebook & Twitter. Urban investment need not always mean gentrification. 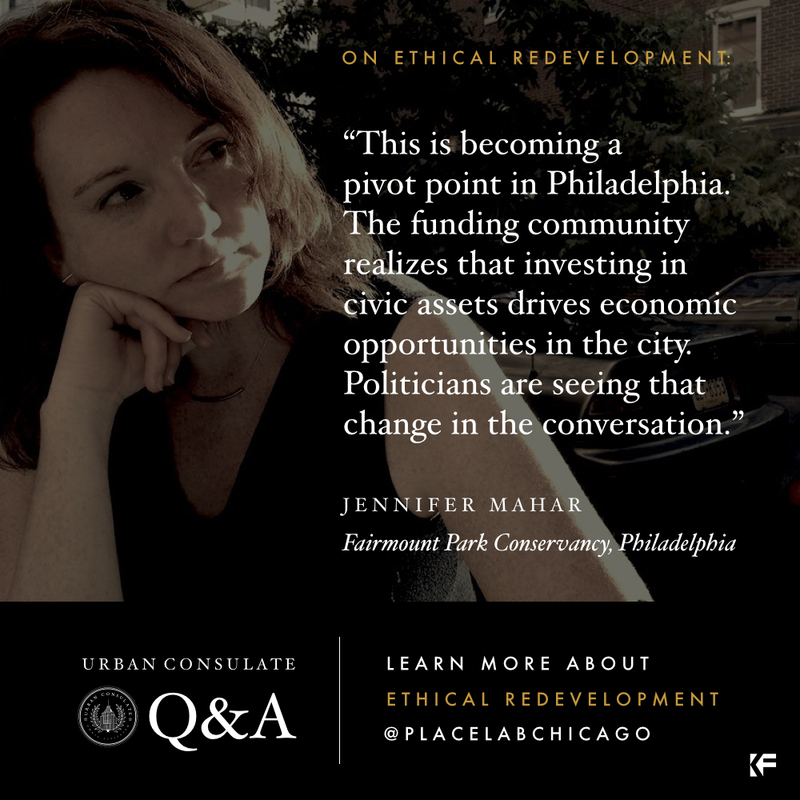 You, too, can be a voice for more ethical redevelopment in your city. Posted by Claire Nelson, with special thanks to Michelle Freeman, Jermaine Jenkins & Leah McGlone at Witty Gritty for hosting & recording; Carson Poole & Isis Ferguson at Place Lab for collaborating; and Knight Foundation for their support. Older PostWHAT'S THE PHILLY STORY?